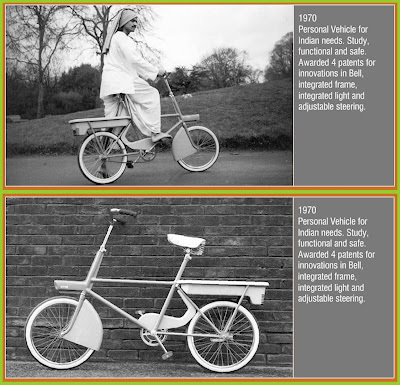 Picture: Singanapalli Balaram and his Rural Bicycle designed at the RCA as a student project. Just as NID had trained the first generation of design teachers for India in the 60’s and 70’s some of these leading teachers and some from the second generation were further trained at the RCA in the 70’s. The first to head to London was Prof Singanapalli Balaram who was deputed from the NID for a year long training at the RCA in 1971. He returned to India and worked at NID till he retired from the Institute after which he has moved to Coimbatore to set up a new school of design there called the DJ Academy. Singanapalli Balaram, RCA, Industrial Design Engineering, 1971. 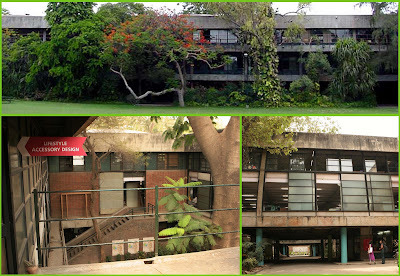 The IDC was set up in 1969 by Prof Sudha Nadkarni who himself was a student of Hfg Ulm but his students from IDC went to the RCA in the early 70’s to come back to teach at IDC, IIT Mumbai and at the IIT Delhi where another school of design took root. 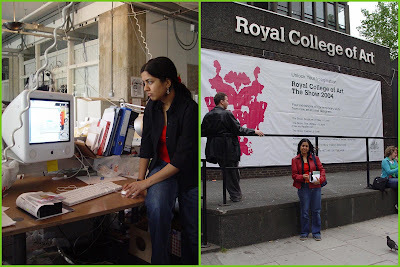 Shilpa Ranade, IDC, IIT, Mumbai Head of Animation at the IDC also stuidied at the RCA. This early round of RCA scholars from India was followed by a stream of very talented designers from NID, most of whom were from the NID’s undergraduate programme and they are listed below with discipline, year and some web links appended below each person. Nipa Doshi, MA (RCA) Furniture, 1997. Nagraj Seshadri, MA (RCA) Industrial Design, 1998. Priya Prakash, MA (RCA) Computer Related Design, 2001. Diana Irani, MPhil (RCA) Constructed Textiles, 2002. Animation has been a dominent area of collaboration in recent years. Nina Sabnani participated in the Helen Hamlyn conference for Design for our Future Selves in 2005 and several RCA faculty and students from RCA Animation Department traveled to India and interacted with NID faculty and student teams under an ongoing relationship under an MOU between the two schools. The following NID graduates have done their animation or media related courses from the RCA in recent years. The design world has been a rather small place with a lot of exchange of ideas and with a considerable movement of people and ideas across boundaries, even during and after the wars. We now know that Charles Eames visited Ulm and interacted with Max Bill at about the same time as Raynor Banham and Bruce Archer traveled from London to teach at the great German school. Archer was a researcher and teacher at the RCA at that time in the early fifties before the setting up of the NID in Ahmedabad. Eames wrote the India Report in 1958, exactly 50 years ago, and his contacts with teachers at Ulm and the RCA must have shaped his ideas about design for a country like India when he worked on the report that proposed the National Institute of Design as a way forward for India in a period of rapid transition. That Charles Eames may have been influenced by the Ulm and RCA teachers is not documented but from the sequence of events that led to the India Report we can conjecture that Eames connected with both these great institutions before he finalized the concept of a National Design Institute for India in 1958. 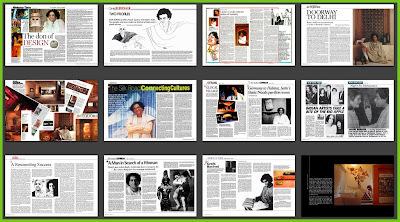 NID Documentation 1964-69 (download pdf 25 mb) lists two people from the RCA of having contributed to the programmes at NID in the formative years. P P Hancock, wood working expert from the RCA was involved in the setting up workshops and furniture traditions at NID who contributed to training NID staff alongside George Nakashima whose furniture was batch produced by the NID workshops and Arno Vottler who was assigned the task of formulating the Furniture Design education at NID of which I was a student in the first batch, joining in 1969. Bob Gill, Lecturer in Advertising & Public Communication, RCA and a professional designer of repute was involved Family Planning workshop and contributed to graphic design thinking dealing with substance and meaning rather than just form. Social communication was already at the top of the NID agenda in the early 60’s but most of the projects that came from professional contracts dealt with symbols and logos for Indian corporate entities, and a great many of such projects were carried out by the NID graphic design teachers and students. Maxwell Fry & Jane Drew, visited NID in the early years of my study at NID and I remember attending their lecture at NID auditorium. According to Christopher Frayling in his book, Professor Fry and Jack Pritchard were responsible for bringing Walter Gropuis to London in 1934 to explore the possibility of his contributing to RCA education in art and design which did not however fructify due to the politics of the times. For me the other reminder of the RCA influence on NID was the Ark magazine, a student journal from the RCA, copies of which were available at NID library, and a wonderful influence on some of us who were eager to know more about the nature of design in our formative years at NID. I was then involved in editing the first student magazine at NID, called SNID (Students National Institute of Design) in 1969 and 1970 along with a few colleagues, and I believe the effort was directly motivated by the presence of the Ark in our library and through our discussions of the contributions through our “bakwas committee”, or informal chat group as it was fondly called, which sat for hours on end at the Old Madras Café just outside the NID main gate in Paldi, to discuss all matters NID and design in those heady days of learning and exchange. The other influence was the Design Methods course conducted by Prof Kumar Vyas which was modeled after the structure proposed by Bruce Archer in his papers titled “Systematic Method for Designers”, 1964, a rare copy of which is in the NID library. Bruce Archer, one of the pioneers of Design Research and the Design Methods movement as a faculty at the RCA visited NID with a mission to deliver in person the Sir Misha Black Award to Mr. Ashoke Chatterjee for excellence in design education that was recognized at the National Institute of Design. Ashoke Chatterjee joined a long list of awardees and he has been active in his interactions with the RCA ever since and this has contributed to the strengthening of the relationship between the NID and the RCA. Christopher Conford, Head of General Studies at RCA formulated a programme which was called Science & Liberal Arts programme at NID and the formulation was carried in an incisive report left behind after his brief visit to the Institute. The other person of significance mentioned to me by Askoke Chatterjee in his recent communication was Frank Height who according to AC is “the most important remaining link with the great years of Misha Black and design education at RCA”. AC attended the Misha Black memorial Dinner in London in March 2008 for the award ceremony for this year. Sir Christopher Freyling visited India in 2001 and participated in the CII NID Design Summit at Bangalore and followed it with a visit to NID, Ahmednabad to sign an MOU on an era of cooperation between NID and the RCA. I was happy to meet John Chris Jones in London during my visit there in 2004. We met in the British Library which was the location suggested by him for a meeting that was set up over a round of email communications prior to my visit. I had written to John Chris many years earlier when a former student of mine who was studying at the RCA told me that he was the best person who could help us formulate new directions for the use of digital resources at the IICD Jaipur where I was officiating as the Director. Nagraj Seshadri had told me that JCJ was perhaps the only person in the late 90’s who had a deep understanding of the internet and could help us develop strategies for its use in the crafts sector in India. I wrote to him and shared our IICD reports with him but due to his involvement with the book, Internet and Everyone, at that time he was not able to participate with that effort. However he had been a strong influence as part of the Design Methods movement and his book on the subject and hid other books were much sought after at NID in the 70’s till date. Now many NID students regularly catch up with his writings on the web at his website called Softopia. Jasper Morrison – Furniture Designer visited NID very briefly and I spent one evening with him at Ahmedabad over dinner at a friends home. He is one of the influential young minds that RCA has produced and his influence is very strong through his work as well as his exhibitions such as “Super Normal” which was curated with Naoto Fukasawa. The other significant alumni of the RCA from India include Uday Shankar – Choreographer and Dance and Dhruv Mistry – Sculpture. This post is the second of three such posts where the first deals with the early years of RCA and the influences on world design and the third with contemporary influences and the creation of a new generation of international designers from India. I was happy to meet John Chris Jones in London during my visit there in 2004. We met in the British Library which was the location suggested by him for a meeting that was set up over a round of email communications prior to my visit. I had written to John Chris many years earlier when a former student of mine who was studying at the RCA told me that he was the best person who could help us formulate new directions for the use of digital resources at the IICD Jaipur where I was officiating as the Director. Nagraj Seshadri had told me was perhaps the only person in the late 90’s who had a deep understanding of the internet and could help us develop strategies for its use in the crafts sector in India. I wrote to him and shared our IICD reports with him but due to his involvement with the book, Internet and Everyone, at that time he was not able to participate with that effort. However he had been a strong influence as part of the Design Methods movement and his book on the subject and hid other books were much sought after at NID in the 70’s till date. Now many NID students regularly catch up with his writings on the web at his website called Softopia. 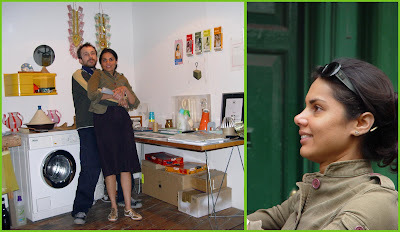 The other significant alumni of the RCA from India include Uday Shankar – Choreographer and Dance and Dhruv Mistry – Sculpture. This post is the second of three such posts where the first deals with the early years of RCA and the influences on world design and the third with contemporary influences and the creation of a new generation of international designers from India. While these two German schools have had a huge influence on world design, especially in the educational space, we will need to look at the influences of the Royal College of Art (RCA, London) in the shaping of world design as we know it today and in particular I will use this occasion to look at the influences of the RCA on Indian design education and research. Picture: The great London Taxi (left) and The Royal College of Art on the web. "The Royal College of Art is a very special kind of ideas factory. It is the world's only wholly postgraduate university institution of art and design which specialises in teaching and research, offering MA, MPhil and PhD degrees across the disciplines of fine art, applied art, design, communications and humanities. Over 850 masters and doctoral students drawn from all around the world interact with a teaching staff of over 100 professionals, all being leading art and design practitioners in their own right. It is therefore one of the most concentrated communities of artists and designers to be found anywhere on the planet. Along with an impressive roll call of visiting professors, lecturers and advisors, students are given first-class opportunities for major collaborations with cultural and industrial partners. It all adds up to a creative environment that's unrivalled elsewhere." Historically, the events that led to the construction of the Crystal Palace in 1850 in London and the conduct of the Great Exhibition of 1951 launched the industrial revolution and also set the stage for the entry for design as a major partner with industry of the day. The British Government took cognizance of this influence and decided to invest in design and art education to help the process of assimilation of these new ideas into industry so that British industry continued to hold a leadership position in world trade with the use of these special skill sets. The Royal College of Art was set up in 1837 as the Government School of Design with the charter of training designers for the industry as a national responsibility. The history of the great school has been captured and made accessible through the book “The Royal College of Art: One Hundred and Fifty Years of Art and Design”, by Christopher Frayling, Barry & Jenkins, London, 1987. I will not repeat what the book does admirably, that of documenting the illustrious students, Professors and administrators of the school but try and explore the connections between this great school and the NID, which was the first design school set up by the Government of India. In the two following posts I will expand on the major influences during the formative years of Indian design movement and in another post deal with the contemporary influences with exchange and collaborative between the RCA and Indian design schools, particularly the NID. The second post deals with the formative years of Indian design while the third post with the contemporary exchanges and the creation of new generation of international designers from India. Image: Illustrated frames from an animated film from Auryn, “In Winter Still” directed by Umesh Shukla in the Claude Monet style using specially designed software to tell a moral tale for children. Design as actively is entering every field of human endeavor, or it soon will and the media is discovering it in India as it explodes into our homes and work-places like never before. Simultaneously, all other fields are looking at design with an active interest through numerous new initiatives, and this includes the fields of production of illustration, still image photography, motion pictures & animation for the TV and live action cinema industry in India. Now an even broader arena of moving images that communicate is emerging through our cell phones and digi-pods that we carry around with us all the time, not to mention the browser based flash animations and quicktime productions that has brought the individual from the street, so to speak, to become a producer of these images, and not just a consumer, thanks to Youtube, Flickr, and a host of social networking sites and discussion platforms that dot the internet today.. The media is exploding all around us and the digital wave is aiding the convergence of many distinct media types on a borderless space, which I had talked about on my previous outing with the media moguls at NID. At the conference at NID on 10th December 1999, on the topic of Emerging Media, I had presented a paper titled “Niche Programming: Narrowcasting the Internet”. The TV celebrity, Vikram Chandra, then from Star Network News (now with the NDTV) and a speaker at the conference, whispered into my ears, “Professor, do you really think all this is going to happen soon?” my reply was in the affirmative, and now he is himself heading the web initiative for the NDTV, besides continuing to anchor many news and special interest programmes for broadcast TV in India. Design as a capability lies at the cusp of the manifestation of dreams and intentions in this powerful and lucrative media space, and it is beginning to take centre stage from both art and science, let me explain. While new media was technology driven and experimental cinema was propelled by art and science expressions and research, all these are taking a backseat to the commercial and intentional capabilities of design that can marry both art and science in commercially and socially desirable ways. Of course, our artists will continue to give us their critical perspectives on our life and our times and our scientists on the other hand will continue to search for new truths, while design will learn to use these to communicate and to tell stories in new and increasingly effective ways. In the final analysis it is the compelling presence of the message in a particular context that makes these offerings so effective and necessary. For instance, new opportunities for powerful expressions exist in the reconstructions of major news driven events, from bank heists to public executions, celebrity cavalcade routes to sports analysis tools (cricket – tennis – swimming….stop action, motion capture and display tools, to name just a few possibilities) to the capture of the spread of fire on the oil rig and the 9/11 type reconstructions for the evening news, all of which are designed offerings, across many competing media, all the time, OK 24x7….Illustration, live action, animation and storytelling, interviews providing facts and expressive fiction with hyper-reality in TV space, all use design capabilities. After an effective entry into the TV space we now see design literally invading Bollywood, Tollywood and our Southern bastions of cinema, the biggest in the world. Hollywood and the West, by the way, is already taken, witness Saul Bass, the famous Graphic Designer of the 70’s and the big budget design promos and trailers for all major offerings from the West, design is an integral part of that offering. This assault is not restricted to production design, costumes and pre-release advertising, but is extending to visual scripting, storyboarding and direction, and in other instances to special effects and animations for stunts, special equipment and props, the Bond cars and gadgets and Free Willie the whale, software for compositing and new business models for the delivery of media content through all available and competing channels, the opportunities are growing exponentially. From my vantage as a design teacher at NID I see many of our alumni entering the moving picture space through a variety of opportunities that are opening up for trained designers. 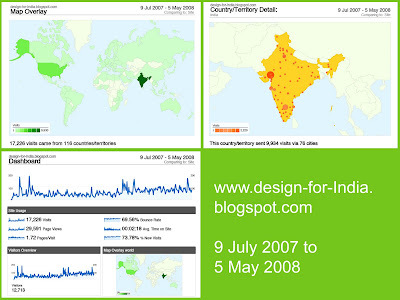 A quick online query on the “designindia” discussion list has shown very interesting convergences of many design specialists heading for these media opportunities, at a very high level of performance, located in Hyderabad and Mumbai, Dubai and Hong Kong. TV advertising and documentary production used to be the traditional spaces for design and designer action, but now it is being extended to feature films and animations, as the industry gets organized and broader at the base. Product, Furniture and Exhibition designers are working on production design in the TV and film industry. Textile and Apparel designers in costumes and Graphic designers in Art Direction and storyboarding and our Animators are expanding their reach from the short comics and single concept films to feature length stories and documentaries for global partners, special effects and a combination of live and animated offerings. There is a lot of creative trespassing going on here, since digital tools have lowered the entry barrier and the inherent core design skills of visualization and synthesis, capabilities of all designers can now be mobilized through the common sets of software skills that cut across many design disciplines today. Design visualization skills are being sought after by both advertising and feature film makers to create expressive visual storyboards that can bring a whole creative and production team up to steam very quickly on the intentions of the producers and directors, and the cost saving and effectiveness of this tool is very convincing indeed. Converting a verbal script into a visual storyboard is not just an artistic interpretation of the record but it would include key decisions such as the selection of locations and frame angles that are viable and effective for the actors and stunt scenes, give cues for costumes, sets and trolley and camera movements, a right-hand support for the director-producer, who would take the final decision call in all cases. Surely this requires more designerly capabilities, both cognitive and effective capabilities, than just the skill of good drawing. Understanding structure and form as a composite whole in the production of meaning is central to the effectiveness of the exercise. The design intention would be to tell a story in the most effective manner, which would suit the particular context and the occasion. Story telling in culture contributes to the expressions of that culture and Gilles Fauconnier’s, concepts of conceptual blends and fields, provides us tools for the creation of new structures for storytelling and games design. This is in a way similar to the masterful analysis by Levi Strauss when he de-coded the myths of many tribal communities and showed us the similarities and differences, the symmetries and dualities inherent in these myths. Today NID animators and game designers are exploring the use of these structural diagrams, models and scenarios, that can capture the core of a virtual landscape to help maintain continuity in the fictional characters in an equally fictional spaces that they inhabit. A formulae that is successful will be revisited by many with new forms of expression while the underlying structure is faithfully replicated, the Ram Lila being revisited in all our villages across that land, each in its own regional variant, as a case in point. Raw & the Cooked, structuralist stories and myths from Claude Levi Straus, demonstrate that stories have structure and that stories have form. The great Bollywood imitations of the Hollywood movies, adopts the structure and customizes the form to suit the local context. The Bollywood movies that imitate its own success formulaes, all in new forms and with new players or actors, dubbed in language and with new songs …… many possibilities, hundreds of offerings each day, round the year. Many aspects that are copied are action sequences and interesting structural relationships and these can be easily managed in the digital form, by the use of templates, like in PowerPoint presentation made by managers, but effective in the hands of a master storyteller. The new digital form of entertainment can have mix and match (like fashion street) and offer many possibilities, using the same successful formulae each time in a new way. With the use of motion capture and digital models used for the generation of the story and using a range of optional actors, all digital models that perform to the script and motion capture sequences that are computer mediated, a new masala mix in cinema is possible. Jackie Chan being replaced by Amitabh Bachan, or Chun win Fat, whoever that may be, depending on the audience, a new form of visual translation for the 24x7 world of localized TV content, mix and match, direct to home? All new opportunities that is just now at the horizon but soon inside our homes, for sure. These can be designed and delivered with imagination and great power when it is handled well. Very soon we can imagine and expect to see content of the great cultures being reinterpreted in the media by audience choice, as in text being converted to image in the comic books and moving image with action sequences and music videos, just as text is converted to voice with the now effective text to speech software programmes. As we understand structure better and figure out new forms of expression, we will or can have automated stories on call, with actors of our choice and with twists and turns as dictated by the viewer, a totally non-linear offering. These are already here with us in the form of the digital games that children and adults play all day, offline as well as offline in great multi-player environments that unfold as the game progresses, never to be repeated in the storytelling traditions of yore. This emergent form is like the video game and the child and playing adult are actually manipulating the course of the story with dynamic animations and with deep immersion in the game play all the time. These interactive games hold the seeds of a new genre of interactive cinema that will be upon us through our cell phones and our other media access devices, very soon indeed. The “Cell phone cinema” of low-resolution storytelling, and home movie editing, the Indian MMS craze. Wapp, rapp and zapp, Bluetooth dating and digital flirting, are all here to stay. Some of these will be used to sell us credit cards and insurance, or toothpaste and adhesives, or entertain us round the clock, online, offline, at home and elsewhere. "Design and Moving Image: Let the Twain Meet", was the title of my “Cut Here” paper of 2005. Design as we know it today is unfolding to new levels of understanding from which it can help us communicate both the trivial and the profound, and our value systems will dictate how we will eventually use these capabilities for a sustainable future. When the world is shrinking and as Mike Davis tells us, it is becoming a global slum, we need to use the media to address these dimensions like never before, and in my view the effective communicator with leadership qualities is the challenge of the day. Design at this level is very political indeed. Designers need to learn about politics or our politicians will need to learn to use design a whole lot better. I wonder which one will come first. Based on paper for “Cut Here” Journal of NID, August 2005 and revised in May 2008. Download pdf file 68 kb from here. IICD, Jaipur: Reflectiions on its inception and establishment as a sector focused design institute, perhaps a model for the 230 other sectors that need design in India today. 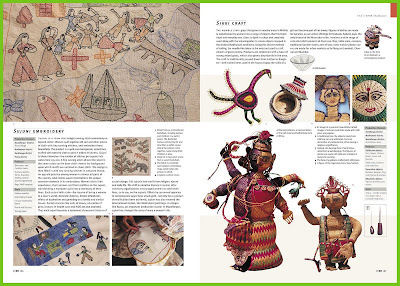 The Rajasthan Government exhibited an unusual degree of imagination and vision when they commissioned the National Institute of Design in March 1991 to conduct a research project leading to the creation of a feasibility report for a new School of Crafts, as it was called then. The then Chief Secretary, Mr M L Mehta and the Commissioner of Industries Mr R S Sisodia were the high level team that spearheaded the Governments’ initiative and at the operational level it was the management of the RAJSICO and the Office of the Director of Industries that was given the responsibility of steering and managing the project as it went through the research, evaluation and proposal phase over the next two years. The feasibility report submitted by the NID team of J A Panchal and M P Ranjan was approved in April 1993 by the State Government and under the direct control of the RAJSICO it was decided to set up an instuitute at Jaipur as proposed in our report, the draft of which had been discussed at a well attended round-table and workshop that was held in February 1992. The feasibility report itself was based on a set of nine models that captured the contours of the domain that was to be influenced and led on to the products and by-products of the proposed institute. 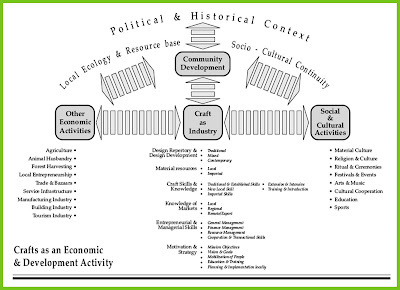 These models defined the term crafts as an economic development activity that was located in the cusp of core areas of employment in the rural sector that drew their opportunities from the major agricultural sector on the one side and the social and cultural activities on the other while the central focus had the crafts as an industry that employed the largest number of people after the agri-sector in India. 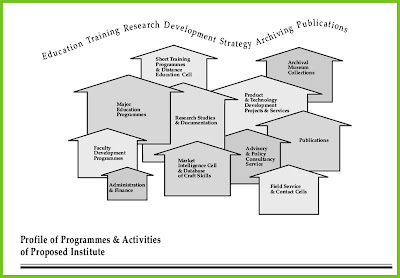 Other models spelt out the linkages and constituents and the profile of programmes and activities. The schedule of education programmes as well as that of spaces led to an organizational structure that was developed with the assistance of faculty from the IRMA, Anand and the IIMA, Ahmedabad. These also envisaged the stages of creation of the institute and the ideal location for its establishment and the impact that it could have on the crafts sector as a whole. The last model enlisted the proposed outcomes. These nine models helped make visible the core ideas that were included in the text of the document and these were particularly significant since many of the stake-holders were not expected to read the full text of the document but could still get a birds-eye-view of the substantive proposals that were included in the report. From our experience this was a very effective strategy since most people had a clear understanding of the intentions of the institute if not the methods and means to realise the stated objectives. The institute was commissioned in early 1994 and a Governing Council was constituted which included representatives from the Rajasthan Government under the Chairmanship of the Chief Secretary. The external members included the Development Commissioner of Handicrafts, the Directors off NIFT and NID as well as some prominent master-crafts-persons and this composition demonstrated the seriousness with which the Government viewed the role of the institute at the very inception. The stated mission of the institute, which was accepted by the State Government, was to make an institute of national importance that would focus on the creation of knowledge and human resources for the benefit of the crafts sector using design as the prime driving principle. This was a visionary step at a time when all the resources that were being invested into the crafts sector were entirely in the nature of grants and aid that supported the training of craftsmen as well as support for crafts promotion activities such as market meets, museums and retail stores for the handicrafts sector. 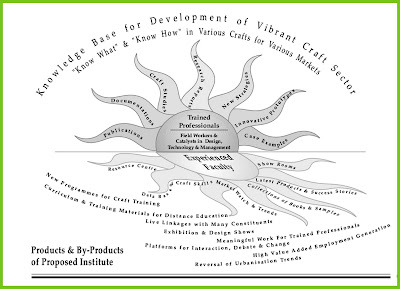 While doing our research we found that there was not a single institute or university department anywhere in the country that was mandated to develop knowledge resources for the crafts sector although NID and NIFT as well as some design programmes at the IIT’s had taken up this task on the basis of faculty interest at these institutes. It was therefore decided to make the creation of knowledge in design, technology and marketing as an area of focus and the creation of educated and capable “agents of change” as the mission for the proposed institute. This was easier said than done. While the mission was understood in its abstract statement the translation of these intentions into action was quite another ball game particularly since most people who had previously been involved in the crafts sector were steeped in their concern for the craftsmen and their present condition and the need for innovation and a shift of focus to these “agents of change” was often seen as another elitist endeavor that took the attention away from the plight of the craftsmen in the field. This mindset was perhaps the biggest stumbling block in the early years of setting up of the institute. The need for a new institute was not disputed and it was agreed that, I quote from the feasibility report – “ There is an urgent need for the creation of an institution of excellence that is charged with the mission of developing the crafts sector in an integrated manner. Design, as defined in the broadest possible sense, shall be the discipline used and nurtured by this institute to affect the envisaged development mission and to realize its objectives. The range of tasks and challenges, which such an institution would need to undertake, implies the use of information and knowledge-rich approach over and above the usually accepted component of skills. Only an institution operating at a level of excellence will be able to command the respect of and attract the best people from various fields to participate as faculty and staff in furthering and realizing its mission and objectives”. – Unquote. The State Government made a valiant effort to set up the institute and get it running while plans were afoot to find a location for its proposed building to commence the education programmes. A core faculty team was appointed in 1995 and the basic activities of curriculum building commenced soon thereafter. The institute was formally registered and a committee of teachers from NID and NIFT were given the task of developing the curriculum for the first Craft Design programme in the country. This task was completed in April 1997, which set the stage for the commencement of the first batch of design students at the Post Graduate level. 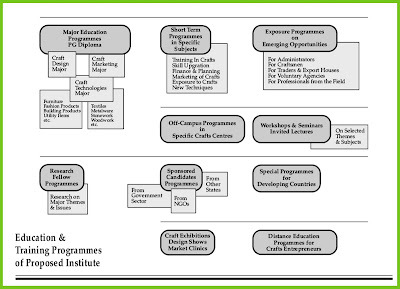 In the intervening years the institute conducted several craft specific training programmes of three and six months duration as well as commissioned and undertook a number of craft documentation and design projects that were handled by the faculty as well as other resource persons from NIFT and NID on a sponsored project basis. This helped the institute commence a number of activities that could be handled in a collaborative mode even when its own staff and faculty strength were still at a nascent stage. The next year the faculty strength was stabilized with the induction of fresh members and the PG programmes were commenced from rented premises in Jaipur city. 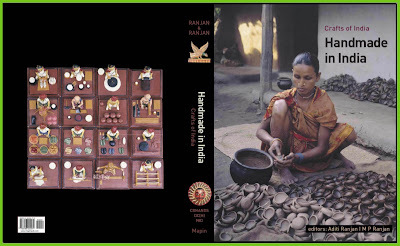 The first batch of students gave the faculty a realistic platform to develop a design curriculum that could address the needs of the crafts community across many material and technique categories as well as the huge number of locations in India where an enormous variety has been catalogued and studied. The challenges of the programme and the fledgling institute were many. However the spirit was one of exploration and discovery in which all members took great pride in participation and the journey was quite exciting for all participants. I was involved directly for two years as an acting director in the years leading up to the first programme at the request of the Government and NID made this possible by offering my services on a part time basis in a project format that was handled under the Outreach Programmes of NID. However this arrangement was not continued and the NID involvement got disconnected due to political uneasiness that seemed to emerge from the two roles played by an NID faculty, one as a director of a new institute while continuing to teach and work at NID. The State Government appointed a full time director with administrative authority and the institute expanded its programmes and activities over the next few years. However it was felt that the massive role that was set for the institute could only be achieved if the organization had the autonomy and the requisite funds without being burdened by the Governmental mode of functioning although in the intervening years a new campus had been established and a number of batches had graduated successfully. Last year the State Government decided to transform the management style of the institute by inducting an industry partner to fund and manage that activities in a flexible and effective manner while the ownership of the instutute remained with the Government. A call for partners culminated in the selection of the Ambuja Education Foundation being co-opted as the private sector partner with Suresh Neotia as the Chairman of a new Governing Council which was established with five nominees each from – the Government, the partner and from a pool of independent expert members. This Governing Council has now taken charge and a new director, Prof Sangita Shroff a graduate of NID and a former faculty of NIFT, has been appointed to lead the institute on a planned programme of growth and experimentation as envisaged in the feasibility report. The crafts of India is indeed an ocean of opportunity and with the anticipated evolution of the creative economy we see a new role for the crafts based producers in becoming a vibrant entrepreneurial pool of resources that can help transform the rural and urban employment settings by creating value added opportunities that can help create wealth and sustainable livelihoods for a huge population of skilled people in the country. The institute will need to scale up and expand its activities in research and knowledge creation tasks so that the needs of this creative economy can be supported by the products of the institute which would be both in the form of trained human resources as well as design, technology and market strategies that would be innovated as part of the research driven agenda in the years ahead. It is interesting to be able to look back and see how the blog has been used, something that is difficult if not impossible to do with print based publications. We write papers and books with the hope that someone would read them but we would never really know. However with the blog space the scene is quite different, we get instant feedback, and in many cases actual contact with the readers. So looking back over the past 10 months of blog activity using the Google Analytics tool has shown an interesting pattern of visits, visitors and interest areas which is useful feedback for the author. "Design is a powerful force that shapes culture and it is a professional activity that is beneficial for both community and business alike. This blog is for all those who are interested in exploring these wider manifestations of design as a critical human activity and would like to shape its application across all human cultural and economic activities. Design uses all of human knowledge and is informed by the deep sensibilities developed through skillful and playful exploration of nature and the human spirit. It is a responsible activity that is driven by value systems of culture and society which are beneficial for sustainable and equitable existance of the planet earth and its inhabitants. Design is an intentional activity that generates value and in its processes it uses the creative potential of the actors to build a better future for all. This blog primarily focuses on issues and concerns in India but would be open to cooperate and engage with all other like minded groups in achieving the larger objectives of the blog." While the focus is on the Indian dimension we are eager to discuss all other global development perspectives that may have a bearing on the promotion, support and use of design in the Indian context. Both this blog and the discussion list will be coordinated to facilitate easy archiving and dissemination of the posts as we go forward with our efforts to meet the objectives of this blog.